The Dubroom Library contains a selection of highly recommended books, some of which are reviewed where others can be downloaded for free or read online. 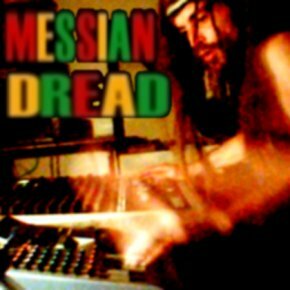 As with everything in the Dubroom, the topics of the books vary but all have something to do with the promotion of (DUB) Reggae and Consciousness. The Dubroom does not necessarily endorse the writer(s) and/or publisher(s) of the material, but the books are carefully selected for their relevance when it comes to (DUB) Reggae and/or Consciousness. WELCOME IN THE DUBROOM LIBRARY! In this section you can find (links to purchase) highly recommended books. All books are actually read before reviewed, and do not necessarily contain material completely endorsed by the Dubroom. They are selected for their relevance, whether they're about (DUB) Reggae or Conscious topics. Your purchase of the book(s) helps the writer(s) and/or publisher(s) where in some cases the Dubroom might receive a little bit provision as well, even though that is never the reason for publishing the review(s). In the download area, you can find books in PDF format for you to download and print for yourself. From ancient books to more recent material, this is definitely a section which you want to check out. All books in this section can be downloaded for free, but you do need to download the free Adobe Acrobat PDF reader in order to be able to read/print. Usually, that piece of software will already be installed on your computer, but there are also links right here in the library actually taking you to the Adobe website from where you can download the reader for free. Next to the reviews and the download section, the Dubroom library also contains books which you can read for free straight from this website. These books are more than recommended, usually because of their relevance when it comes to the promotion of Consciousness. Just like the reviews and downloads, the Dubroom does not necessarily endorse the writer(s) and/or publisher(s). We do trust in the intelligence and discernment of the visitor of this website, whose genuine interest and Jah guidance is assumed to be more than sufficient.